Hardwood is one of the oldest building materials known to man, yet as any savvy architect, designer, or homeowner will tell you, renovating with characterful woods is a sure way to make a tired interior look fresh and contemporary. “There’s something rejuvenating about the unique colors and textures offered by beautifully milled and finished hardwood surfaces,” says Linda Jovanovich, of the American Hardwood Information Center. “Used with flair and imagination, even the most traditional species like oak, walnut, cherry, and maple will provide a stylish, up-to-date makeover.” Here are six ways hardwood can infuse new life into your home. Durable and easy to work with, hardwood has always been the gold standard for residential flooring. 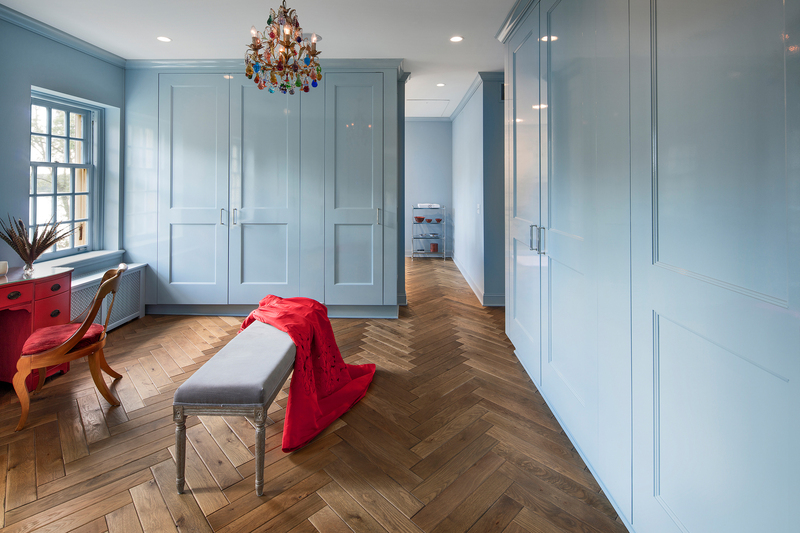 But you can amp up a wood floor’s aesthetic impact in numerous ways, as AWH Architects does in this Minneapolis master suite by laying oak boards in a herringbone pattern with natural oil finish, a traditional style having a welcome revival. In many American homes, interior doors are painted hollow-core models that don’t stand up well to wear and tear. 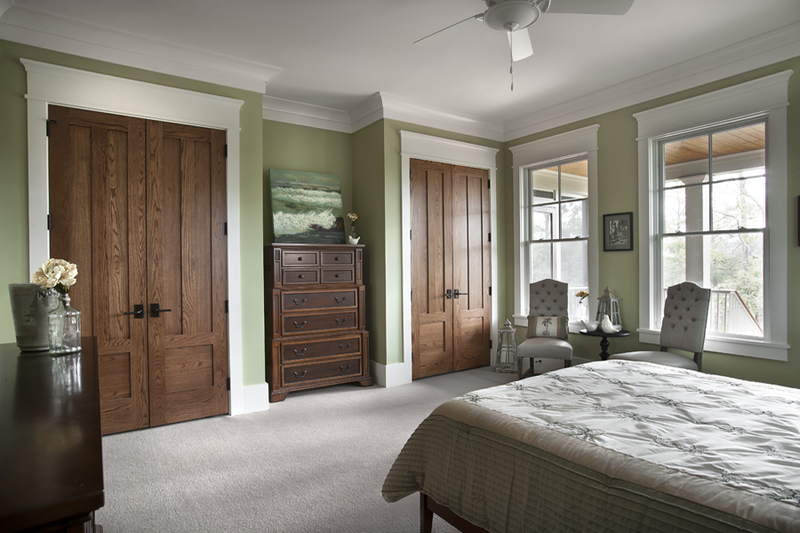 Replacing them with well-constructed, solid hardwood doors, like the stained-oak stunners installed in this serene bedroom by Ink Architecture & Design, will help transform tired, nondescript rooms into freshly groomed show places. A feature wall clad in burnished walnut planks can give a room focus, bringing a sense of organization and intention to what was previously an amorphous or confused space. 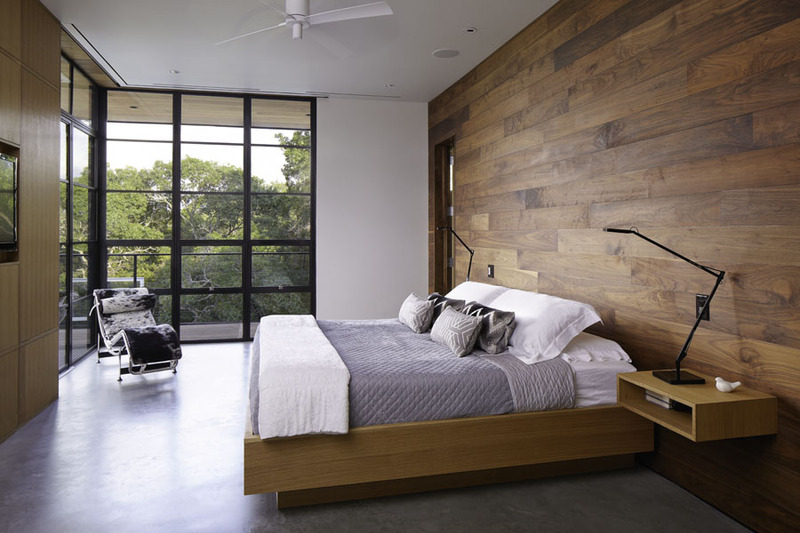 As Cornerstone Architects shows in this Austin, Texas, bedroom, it can also add warmth and texture to sleek, modernist interiors that sometimes feel chilly or austere. Hardwood mouldings and trimwork can transform plain-Jane interiors into interesting spaces. 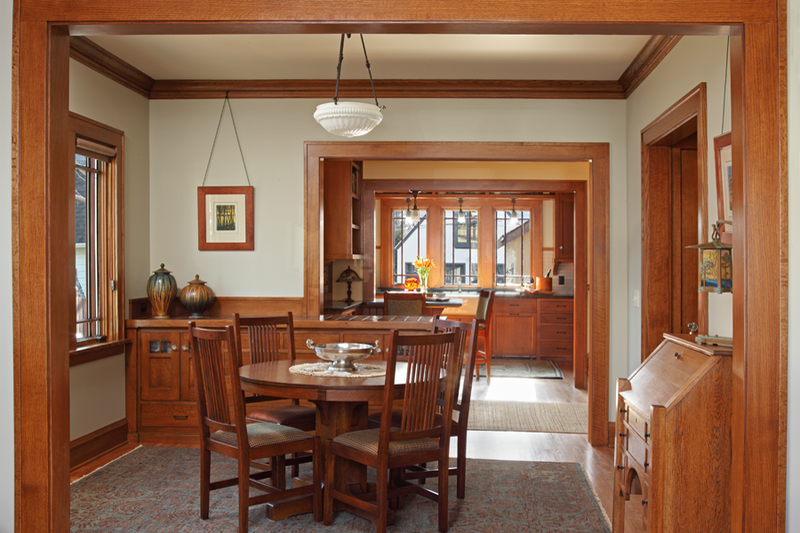 In today’s houses, which often lack any carved-wood ornamentation, decorative millwork can add personality, as David Heide Design Studio did in renovating this 1922 Arts & Crafts bungalow, replacing all the quarter-sawn-oak mouldings stripped out in previous makeovers. Hardwood floorboards work great on ceilings, too! The ceiling is often a forgotten surface, but smart designers think of it as the fifth wall in a room—a blank canvas that can enhance the architecture of a space. 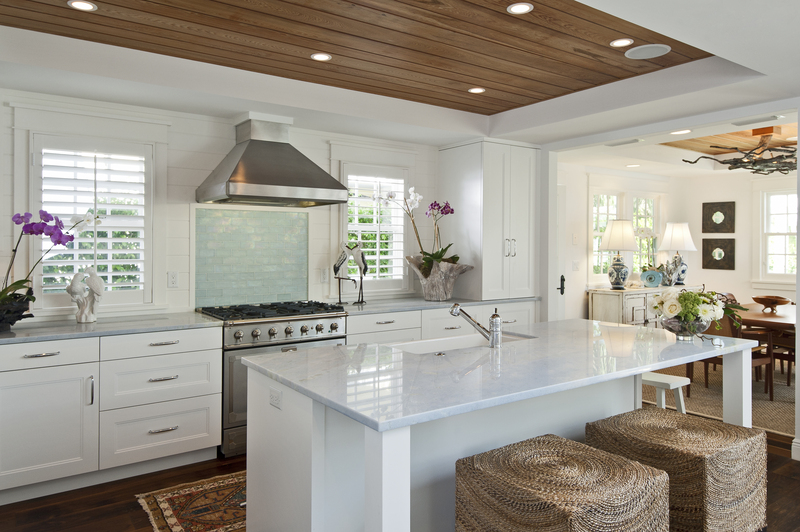 Using floorboard-style hardwood planks underfoot and overhead is a terrific way to re-proportion or unify an interior, as MHK Architecture & Planning does in this Naples, Florida kitchen. Not only is custom built-in hardwood cabinetry practical (and a surefire way to banish visual clutter), it also offers a limitless range of design possibilities from the charmingly rustic to the sleekly sophisticated. For instance, Princeton Design Collaborative of Lawrenceville, New Jersey, give the classic 1960's basement “rec” room an elegant update with custom built-in maple cabinetry.